Four wheel drive version of Altea XL, creating an SUV MPV. Surprisingly good both on and off road. Steel sumpguard is a £180 extra and you need it. Didn't last long on the market. 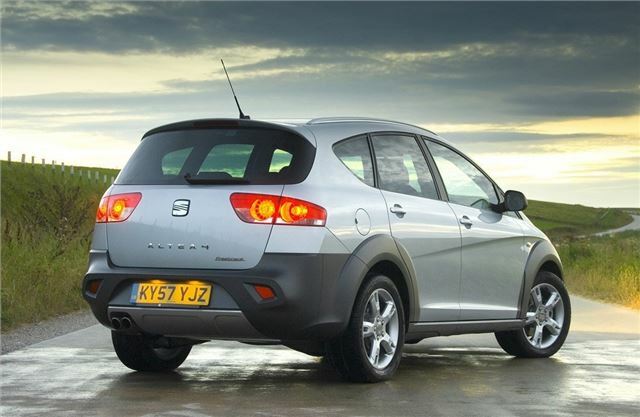 When I first drove the SEAT Altea I didn't like it. And that was not because the launch was in Watford rather then Altea. I couldn't get on with the way the tall body handled, the 140 diesel that bogged down then catapulted the car forward, and the coalface of a dashboard. But since then it's been allowed to grow 13" into the XL. And now SEAT is offering a version of the XL with four-wheel drive, that they call the Freetrack 4. Renault tried this sort of thing before, not very successfully, with the facelift Scenic RX4 that had a spare wheel on the back and used a lot of fuel. 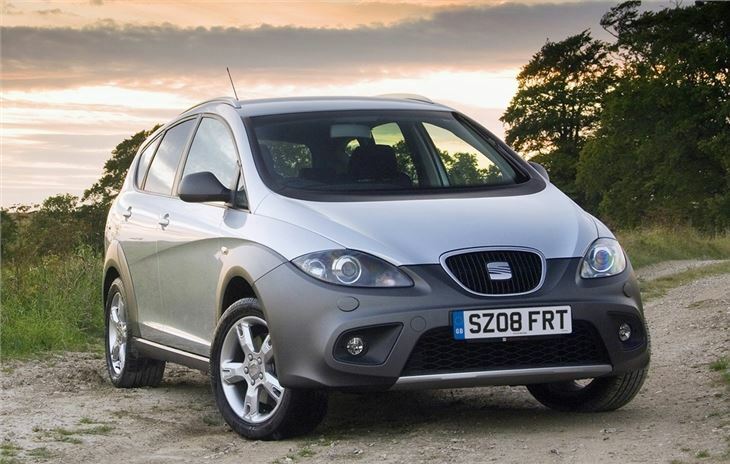 But SEAT, being part of VWG and availing itself of VWG's parts bin, has taken a different route and fitted the Altea Freetrack 4 with the same Audi quattro-derived running gear as the Skoda Octavia Scout. And either the 170PS version of the 2.0TDI or the 200PS 2.0TSI petrol engine. Great fun to drive and very practical ..
An unusual, practical, sporty, all-road, all-purpose car, and I love it!